You will find links to press clippings and broadcast news about Economics Arkansas below. 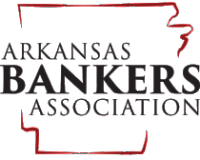 Talk Business, 4/15/2018: Kathleen Lawson with Economics Arkansas discusses her group’s new partnership with Stephens Inc.
TIME Business & Money, 2/12/2014: The Economy is Big News–So Why not Teach it? The Arkansas Banker, Dec. 2012: 17th Annual Bessie B. Moore Awards Luncheon: Taking the "Eeek" out of Economics! If your local media reports about Economics Arkansas, please share! Send clippings or hyperlinks to the address at the bottom of the screen, attn. : Claudia. Thank you!